« New kitchen tile project…. 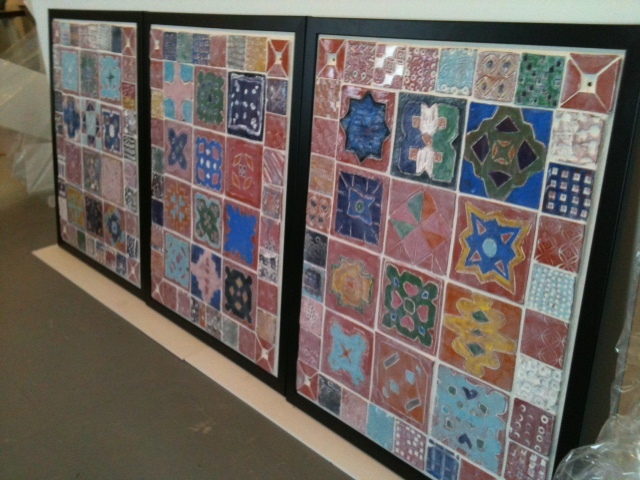 The Children’s Museum summer program, I made tiles with 120 students age 6-12. This entry was posted on Monday, August 26th, 2013 at 10:19 am and is filed under Uncategorized. You can follow any responses to this entry through the RSS 2.0 feed. You can leave a response, or trackback from your own site.